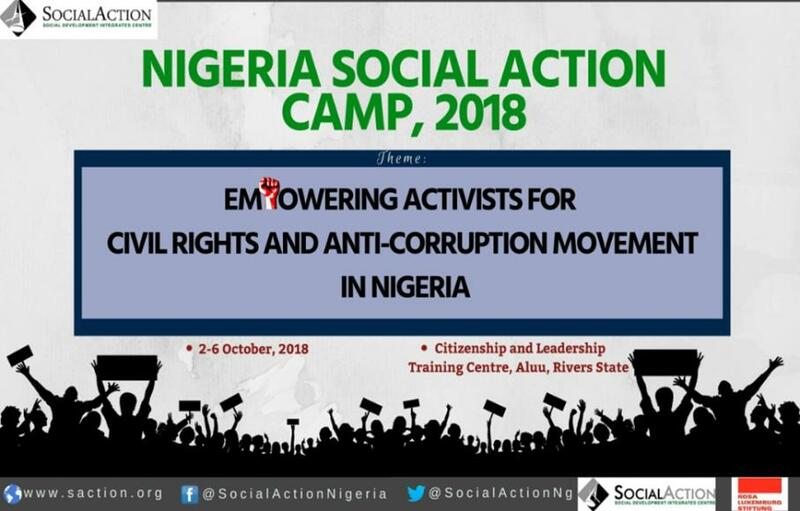 The Nigeria Social Action Camp holds from October 2 – 6 at the Citizenship and Leadership Training Centre, Aluu, near the University of Port Harcourt. Dubbed the ‘Anti-Imperialism Camp’, the annual event is organized by the Social Development Integrated Center (Social Action) with the support of the Rosa Luxembourg Foundation as part of initiatives to raise popular consciousness and participation through collaborative learning, mobilisation and solidarity for communities and activists working for environmental justice, democracy and social change in Nigeria. The Camp provides an opportunity for young people from across Nigeria to learn alternative theoretical ideas and to acquire practical skills to be active participants in the evolving processes for catalysing social change in Nigeria. The theme of the 2018 Camp is Empowering Activists for Civil Rights and Anti-Corruption Movement in Nigeria. Following the successes in building solidarity and awareness and sustaining motivation among young activists during the past years, the 2018 Camp will consolidate on the gains by working to recreate a national civil rights movement in Nigeria. 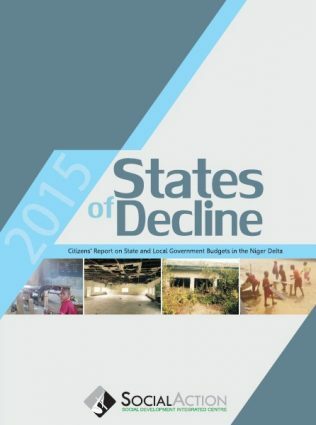 Already, participants of previous camps have established local Civil Rights Councils in some Nigerian cities. While the 1990s witnessed vigorous civil rights campaigning by citizens and organisations that were part of the pro-democracy movement, the restoration of civilian rule in 1999 coincided with the collapse of the leading human rights organisations. As of 2017, Nigeria lacked a strong membership-based human rights organisation to drive non-ethnic citizens’ participation. On the other hand, young Nigerians have increasingly become active in promoting popular discourses using the social media. 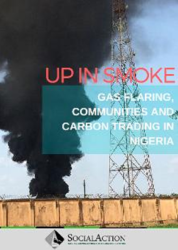 Thus, the potentials exist for connecting popular expectations into a new vision for national development and progress, and to impact on public policy and individuals’ actions. The emerging Civil Rights Councils will serve as an organising platform for mobilising young activists to take concrete steps and to build local solidarities for action. The 2018 Camp is designed as one of the processes for ensuring that activists associated with the Civil Rights Councils and similar platforms benefit from political education aimed at forging a critical and active mass of citizens that will fulfil civic responsibilities, demand human rights and a new culture of accountability in Nigeria.